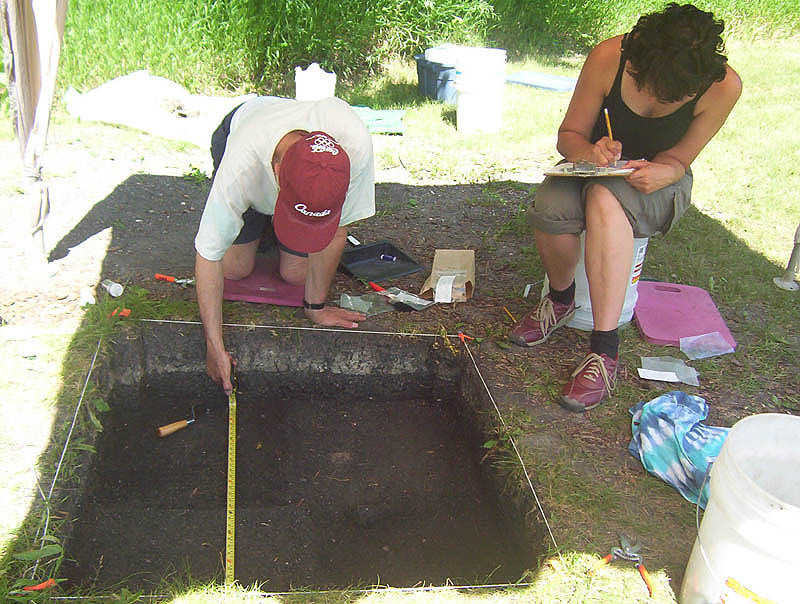 Stone tools have been recovered over the past two seasons at the site. 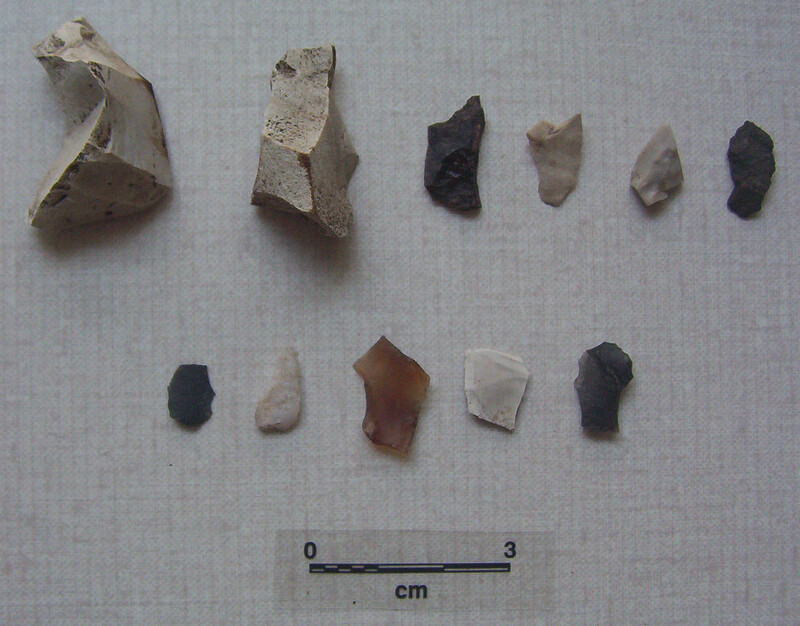 The excavation today of a number of cores and numerous flakes indicates some of these tools were being made here on the banks of the Red River. In addition, rocks that have been heat treated as well as pieces of red and yellow ochre occur in association with fire-cracked rock. 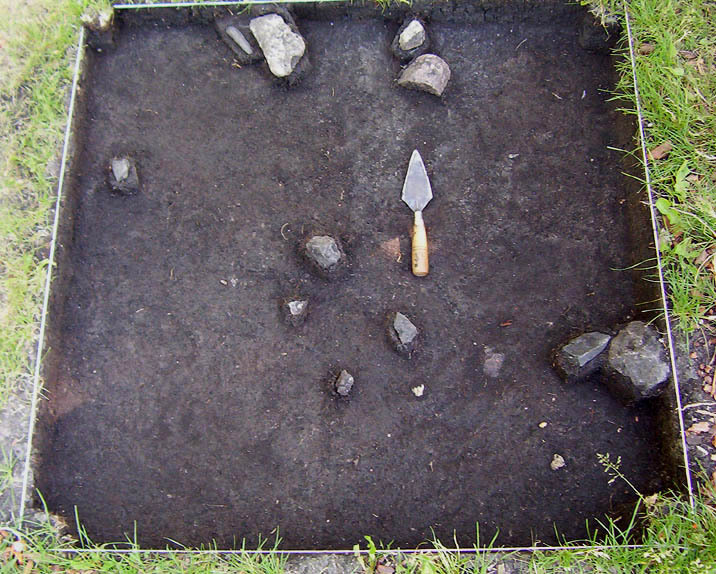 Flintknappers (people who make stone tools) often heated rocks prior to using them for tool manufacture. Red and yellow ochre were used as paint and for medicinal and ceremonial purposes.